The Christmas blizzard of 2009 will likely be Ben’s first memory of snow. We were at my parent’s house for the holidays, and Ben woke up extra early. 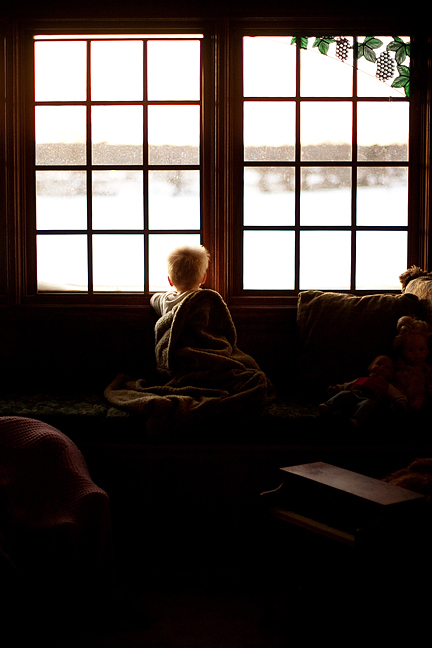 He and I sat in the window awhile, looking at birds hiding in the eaves – finding patterns in the snow. The light was so beautiful, I just had to capture it. Some moments you need to remember. ← Parents and Hay Bales and Cows… Oh My!